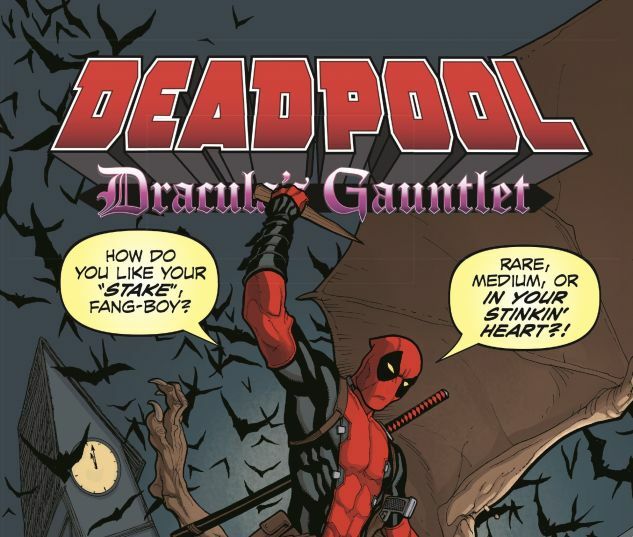 You've seen Deadpool's marriage to the succubus queen Shiklah! Now see their first meeting and learn the secrets of their bloody romance! 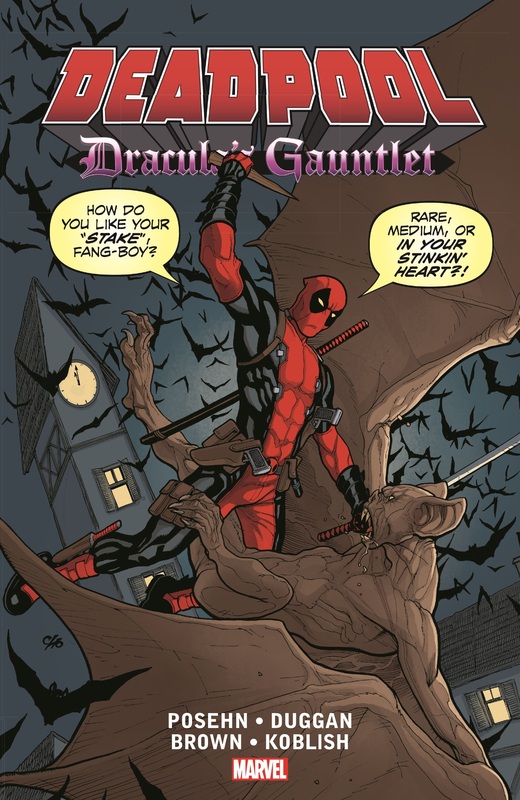 When Dracula hires Deadpool to transport a highly valuable delivery for him, he has no idea what kind of trouble he's in for. It's a crazy journey across the world...and into the dark heart of the Merc with the Mouth! Guest-starring Blade, M.O.D.O.K., Hydra Bob, Werewolf by Night, and more, in a deluxe oversized print edition of the story previously available in Marvel's innovative Infinite Comics format! 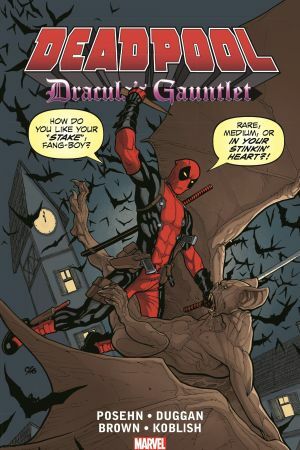 COLLECTING: DEADPOOL: DRACULA'S GAUNTLET #1-7.